Happy National Flex Day! Three 1MFWF supporter organizations—Working Mother magazine, the Alliance for Work-Life Progress, and FlexJobs—have partnered together to designate the third Tuesday of October as National Flex Day. Here are three ways you can support work flexibility—today, this month, and throughout the year. 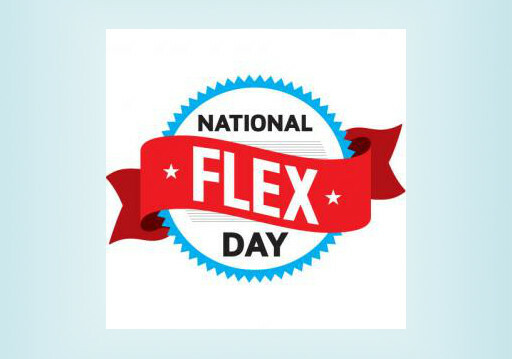 Celebrate National Flex Day today! Talk with your coworkers about all the ways you use flexible work options to find better balance in your lives. Contact your company’s HR department to let them know about National Flex Day, and suggest they apply to be one of the Working Mother 100 Best Companies. Offer to be a mentor for flexible work options like working from home or flexible scheduling at your workplace. Highlight your support for work flexibility on social media using the hashtag #FlexDay. The whole month of October is an especially exciting month for flex, because it’s National Work & Family Month! Established by World At Work’s Alliance for Work-Life Progress in 2003, NWFM is designed to encourage employers to support work-life effectiveness programs and create healthier and more flexible work environments. Join one of the upcoming 1MFWF webinars to learn more about how to make the most of work flexibility in your own life. Check out the NWFM Huffington Post blog-fest and help spread the word. Share your support using the hashtag #wawnwfm. Be part of the 1 Million for Work Flexibility movement all year long! Take a minute to add your name to the 1 Million and share your story about why work flexibility is important to you. Ask your friends, family, and colleagues to join 1MFWF as well. Read the 1MFWF blog for expert advice as well as personal stories about the benefits of work flexibility. Take some time today, this month, and all year long to celebrate all the great progress we’re making in this area, and to help ensure that work-flex becomes part of our workplaces at large!